Facebook is one of the largest social Networking site and used by millions of people hence there must be many user online .The main problem with facebook is when you go offline then you are unable to see who is online so to solve this problem we have some simple trick which will help you to go offline and you will be able to see who is online. STEP3:- Before clicking on Online Now Goto Chat and go offline . STEP4:- Now goto App and Click Allow so that you will be allowed to use Online Now app. STEP5:- Now you will be able to see who is online but friends will get you as offline. 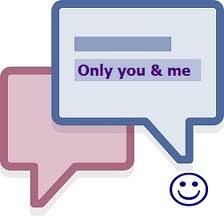 If you want to chat with your special friend who is online then you can send him message.